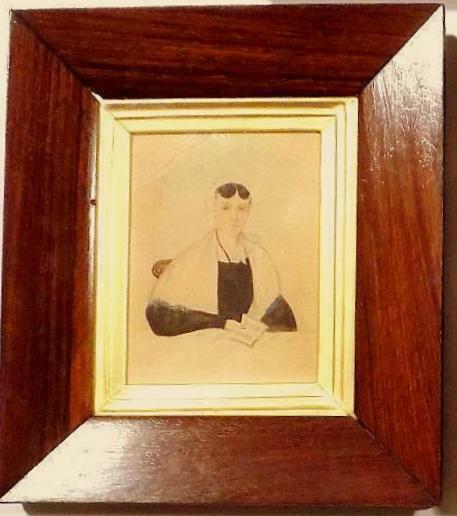 Family group of three naive school watercolor portraits miniature in their presumably original rosewood frames with stepped gilt slips, glass and wooden backboards. 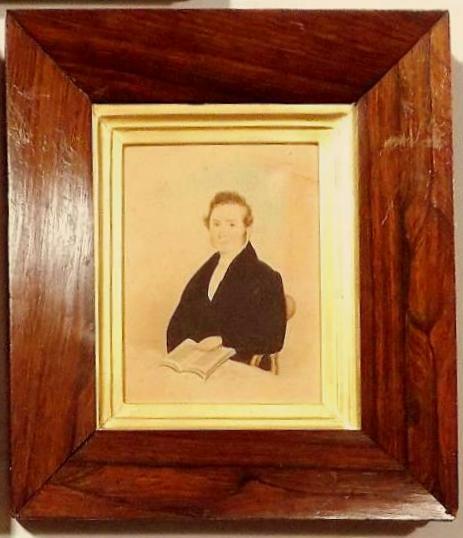 On the back paper covering are labels that date and identify the sitters: Rev. 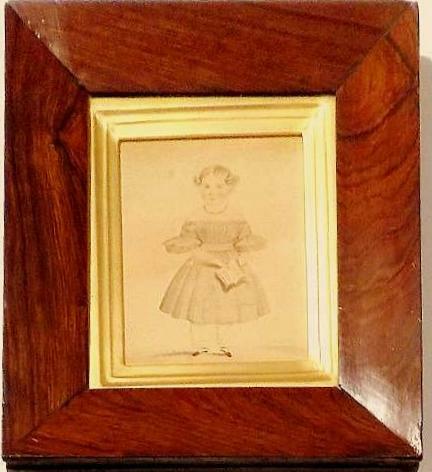 and Mrs. Beswick and 5 year old Sarah Annie Beswick, taken at Manchester in 1839.